In a rare joint interview from 1991, Steve Jobs and Bill Gates discuss the "future of the PC" in Forbes magazine. 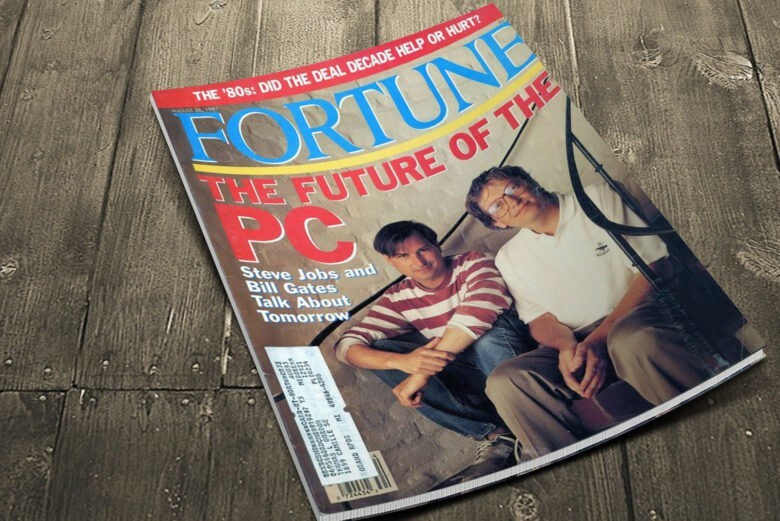 August 26, 1991: In their first joint interview, Steve Jobs and Bill Gates trade barbs and debate “the future of the PC” in Fortune magazine. The intriguing interview shows the technologists at very different phases of their careers. Gates was still a few years away from the launch of Windows 95, which marked the true ascendancy of Microsoft. However, he was already enormously successful. Jobs, on the other hand, was floundering with NeXT and Pixar, the two companies that set up the remarkable second act of his career. The Fortune interview was conducted by Brent Schlender, who went on to write the Jobs biography Becoming Steve Jobs. The momentous meeting of the minds went down at Jobs’ new home in Palo Alto, California. This was no accident. As Schlender recalls in his book, Jobs “played hard to get” for the interview. He insisted it take place on his home turf. Unlike virtually all of Jobs’ interviews, this one did not promote his latest product. (At the time, Jobs was building computers at NeXT). Oh, and he stuck to his guns about how Apple should build its own computers and software. One of only two interviews the pair ever gave together, it makes for a compelling read. Particularly when compared with the pair’s chummier sitdown interview at the D5 Conference in 2007. It’s a great reminder of how bitter the rivalry between Jobs and Gates was.